The BJP immediately opposed the inclusion of Tipu Sultan's portraits among other heroes, with party legislator Om Prakash Sharma saying that the Delhi Assembly should refrain from putting up a portrait of a controversial personality. New Delhi: The row over Tipu Sultan that marred Karnataka politics over the last two years reached the national capital when Chief Minister Arvind Kejriwal unveiled a portrait of the 18th century ruler at the Delhi Assembly among 69 others of eminent personalities including freedom fighters, revolutionaries and heroes on Republic Day, to be put up in the Assembly's galleries. Assembly Speaker Ram Niwas Goel however played down the objection to the portrait, saying that BJP leaders "always try to create controversy on any issue". Referring to the BJP, Mr Goel said "I want to tell them that the Constitution of India also carries a picture of Tipu Sultan on page 144. So, either the people who fought the British to free the country and wrote this Constitution were 'gaddaar' (traitors) or they (BJP) are the ones". 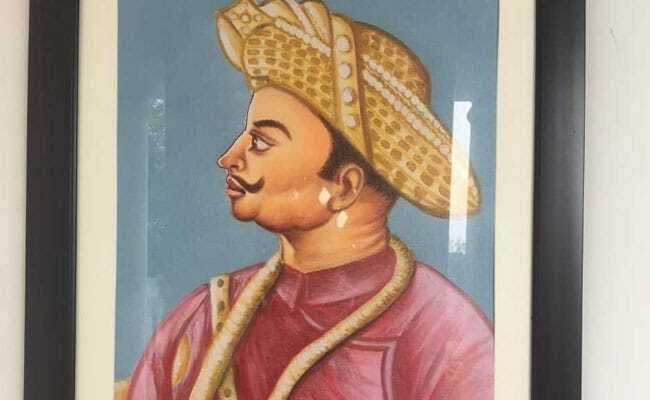 The controversy over Tipu Sultan started when the Congress government in Karnataka decided to start celebrating the birth anniversary of the 18th century ruler in 2015. Violent protests ensued in the state and two people were killed in protests organized by various groups at Kodagu, a BJP stronghold 250 km from Bengaluru. The celebrations of Tipu Sultan's birth anniversary were peaceful in the two following years due to elaborate security arrangements, but last year the issue again turned into a political slug fest between the Congress and the BJP in the poll-bound state. While various BJP leaders have described Tipu Sultan as "anti-hindu" and a "mass murderer", the Congress believe he was a freedom fighter who took on the British and deserves to be counted among the great rulers of the country. The portraits include those of freedom fighters like Subhas Chandra Bose,Bhagat Singh, Birsa Munda and Ashfaqulla Khan. The portraits come with a description of the personalities in brief and their contribution toward the nation. Addressing the assembly in his Republic Day speech, Chief Minister Arvind Kejriwal said that while it was difficult to attain independence, looking at the current scenario makes it seem that maintaining that freedom is even more difficult, citing an "atmosphere of violence" that was being created in the country.